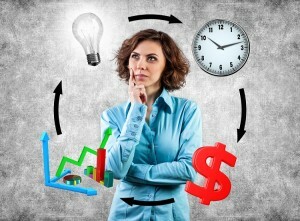 I believe the very first workshop I attended in my working life was one on time management. That workshop — in the late 70s in Winnipeg — was the start of a lifelong journey of learning. I attended that workshop because of my then-boss’s strong suggestion that I might want to improve my time management skills. From his point of view (and in hindsight, I can agree with him), my time management was basically non-existent. I learned much from that first workshop over 35 years ago, but I admit that it’s an on-going process and that time management can still be a struggle. The simple fact is that there are a finite number of hours in a day, days in a week and weeks in a year. Why is it that some people seem to accomplish so much, while others just seem to spin their wheels? It’s not solely about productivity; it is also about quality of life. Spending too much time on “work” tasks throws your work/life balance out of whack. We can’t create more hours in a day, but we can use those we have in a way that creates success not only our careers, but in life in general. Further to that, it’s more than “time management”; it’s really more like “personal management”. Steven Covey spoke to this in his ground breaking book, The Seven Habits of Highly Effective People (Simon and Shuster), when he talked about personal management being the fourth generation of time management and “that ‘time management’ is really a misnomer – the challenge is not how to manage time, but to manage ourselves.” Covey goes on to state that “Rather than focusing on things and time, fourth generation expectations focus on preserving and enhancing relationships and on accomplishing results…” In other words, Covey’s model is to focus on what is important, not what is urgent. Write a personal mission statement based on personal, family and professional values. Define all your roles, both professional and personal. Select the two or three most important goals every week. Tie short-term goals to longer-term goals. Focus on activities that will achieve the greatest results. Portability – you should be able to carry and access your priority list or calendar wherever you are. For many of us, managing our time has become second nature; for others it is a continuous struggle. As a soft skill, personal management is crucial as it can have a significant impact on team dynamics (see my previous post on teambuilding) and communications. It is tied to our level of self-awareness and our personal growth in emotional intelligence. John Whitehead, coaches individuals and organizations in becoming more effective by helping them improve their interpersonal communications, emotional intelligence and resiliency.